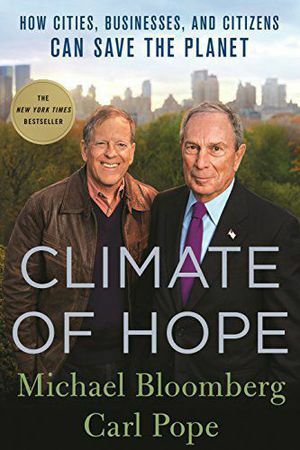 Former New York City Mayor Michael Bloomberg talks with Smithsonian Institution Secretary David Skorton about his new book written with environmentalist Carl Pope called "Climate of Hope." Bloomberg believes that "bottom-up" efforts from cities, businesses and individual people have made significant progress in curbing climate change, ranging from nationwide campaigns to close coal-fired power plants to the increased adoption of fuel-efficient cars and even smarter urban planning. Cultural institutions like the Smithsonian also have an important role to play by educating people about what they can and should do to make the future better, Bloomberg says. "You have an obligation to make the public better informed."